Eddie Redmayne, Benedict Cumberbatch, and Bryan Cranston all recently appeared on the U.K. talk show, The Graham Norton Show, and as you can imagine, their sit-down was all sorts of delightful. Those guys are so charming. But the best part was definitely when Norton gave Redmayne the chance to perform a magic trick on television — something he claimed he has always dreamed of doing. Getting some magic in was the perfect bit for both Redmayne and Cumberbatch, who play magical guys in the Harry Potter franchise's Fantastic Beasts and Where to Find Them and Marvel's Doctor Strange, respectively. But the real question is, who's better at magic? 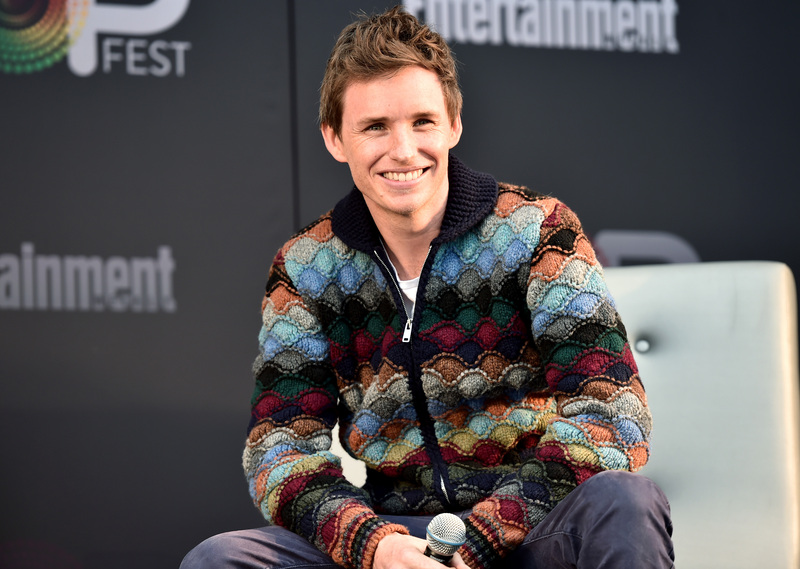 Norton pulled out a "totally ordinary coloring book" to set up Redmayne's trick and explained, “A lot of people don’t know this, but Eddie is in fact a highly trained master magician." Though when Redmayne was asked if he was a member of the Magic Circle, which is the main organization in the world for magicians located in London, he dejectedly (but again, adorably and delightfully) responded, "Um, no." Poor, Redmayne! Membership or not, his magic game is on point as he demonstrated through his trick. The Academy Award winner took the coloring book, which was blank, did a little magic wand abracadabra — and voilá! The coloring book pages were full. Magic. Cumberbatch gave it a shot and said, "Crossover wizard-ness, hello. We might get sued for this.” Can someone please make an actual crossover happen? And while I'm inclined to disagree, Redmayne told Cumberbatch his spell was "better than mine." Good for Eddie-Reddy, getting to accomplish one of his childhood dreams. Let's just hope nobody does actually "burn him, burn him" at the stake for witchcraft as Norton joked in the video. A world without Redmayne's charm and unabashed goofiness is a world I don't want to have to live in.